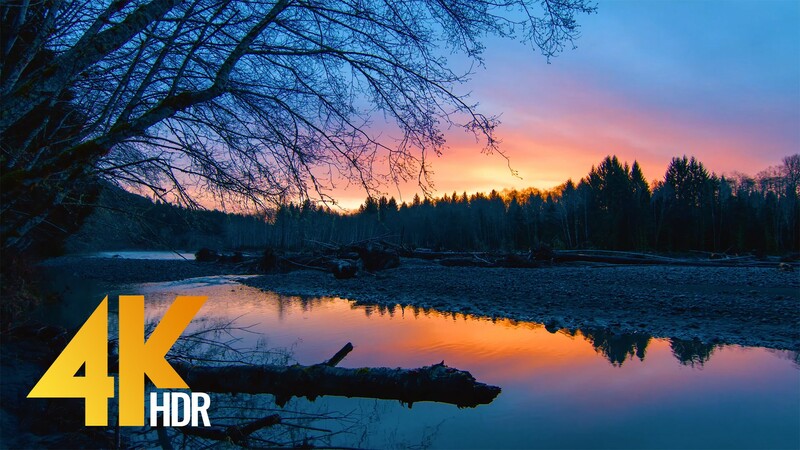 Immerse yourself in the beauty and serenity together with a new 4K HDR and 4K nature relax video from http://www.proartinc.net and http://www.beautifulwashington.com that will take you to the bank of the Hoh River where you can relax and enjoy the sunrise! It’s a wild and beautiful river which looks mysterious especially at dawn. Sunrise is a beautiful time of day when the planet, birds, trees and wildlife awake. It is always a new beginning. If you missed a chance to watch it in real then enjoy our sunrise relax video. 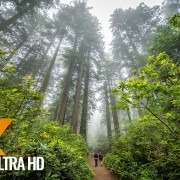 Use this 4K relax video as an amazing 4K TV screensaver and enjoy a magic sunrise. What a great sight to wake up with nature sounds giving deep relaxation with the help of beautiful images and soothing bird singing. You can also enjoy a calm river, panoramic view of Hoh Rain Forest and strengthening sunshine in fantastic 4k after a long day: it’ll help you to relax and fall asleep. It’s truly beautiful and relaxing view of watching how colors change during the whole video and the rising sun gives us its warmth. Make your TV a real window into nature!